Blythewood Inn is a spacious antebellum home constructed 1857–1859 in the French Colonial style as a private residence. This French Colonial style is very rare in Tennessee architecture, it was typically found in New Orleans in the 1800s. It is one of many antebellum homes found throughout Columbia and the surrounding countryside. 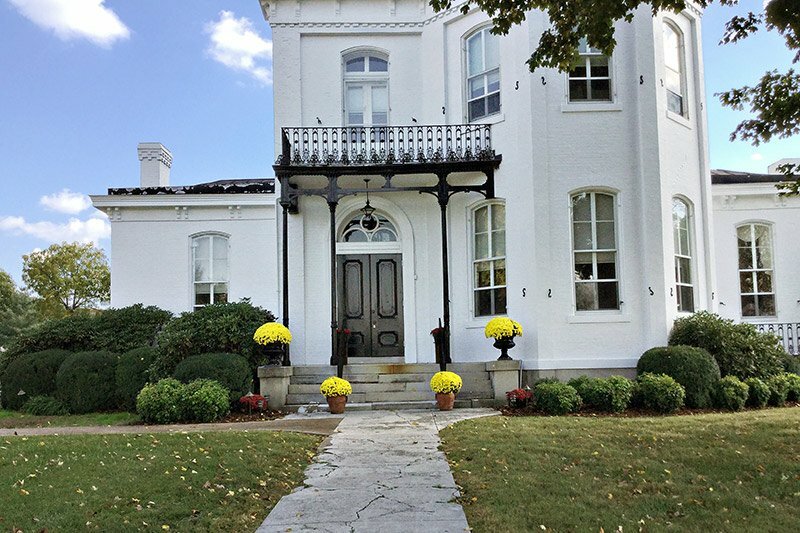 Columbia and Maury County are acknowledged as the "Antebellum Homes Capital of Tennessee," with more pre-Civil War homes than any other county in the state. To visit Blythewood Inn means stepping back in time and experiencing the grand state of living in the 1800s. Blythewood’s builder and considered the first Master of the home was Mr. Thomas Keesee, a carriage maker. In its first few years, Blythewood had many owners until the late 1880s when Mr. E. H. Hatcher bought the home. The Hatcher family expanded the home to what it is today and inhabited it as a private residence longer than any other owner in history. 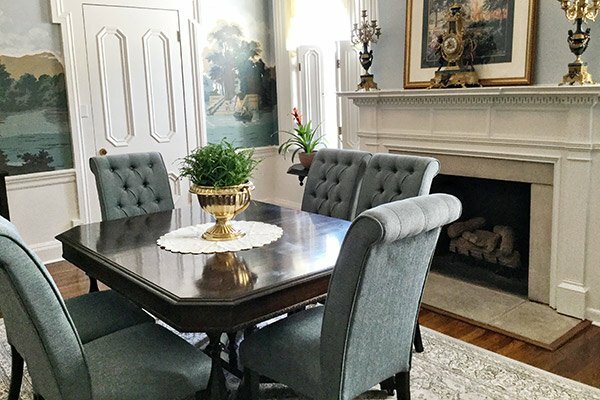 Blythewood has beautiful fireplaces, sparkling crystal chandeliers, ornate antique mirrors, elaborate moldings, grand staircase and shining hardwood floors, as well as original Italian marble floors in one room once the “sun porch.” The grand entrance is breathtaking and welcoming to its guests. In its prime, the home was famous for its beautiful yard and gardens. The home has survived almost 160 years of history. When Blythewood was built many of President Polk’s relatives still roamed up and down the dirt road in front of the home. It has witnessed the Civil War, a tornado, and movement from country living to now within Columbia’s city limits. It has been owned by carriage builders, hotel builders, lawyers, bankers, doctors and other entrepreneurs. It has been close to the wrecking ball yet saved. Its yard and the grand entrance was reduced in size yet it still has a stately presence. Blythewood has been on the National Historic Registry since 1972 while it was still a private residence. Its proximity to the hospital and downtown businesses make Blythewood a perfect location for an Inn. 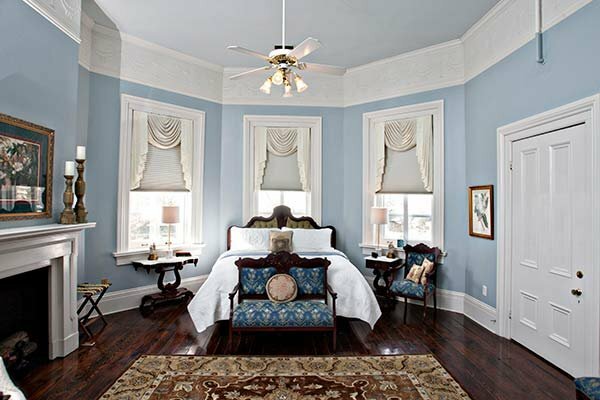 Today Blythewood Inn is offering suites furnished in period furniture with a modern flair and conveniences. The Innkeepers wanted to maintain the rich history yet provide updated amenities for its guests comfort. Breakfast served daily, may be enjoyed in the formal dining room, in the front parlor or weather permitting on the back sun-drenched patio. At Blythewood we want our guests to feel at home and enjoy the casual yet elegant atmosphere of the Inn. Additional meals may be arranged upon advance request. Formal lunch or dinners may be prepared by resident chef and Cordon Bleu graduate Gretchen Vire, you may even enjoy food presented on President James K. Polk’s presidential china. The experience will be in the grand fashion you would expect from a southern antebellum home. At Blythewood Inn, rooms are decorated with vintage furniture with added modern comforts. We hope you enjoy your experience of stepping back to the Victorian Era while also enjoying comfortable and inviting beds and modern conveniences such as Smart TV, Wifi, and steaming hot baths/showers. Breakfast is served daily. Breakfast is hearty and hot and may include a breakfast casserole, omelet, bacon, sausage, eggs, grits, biscuits and gravy, fruit, coffee, tea, and juice. The selections will be the chef’s choice each day. Special dietary needs can be accommodated upon request.